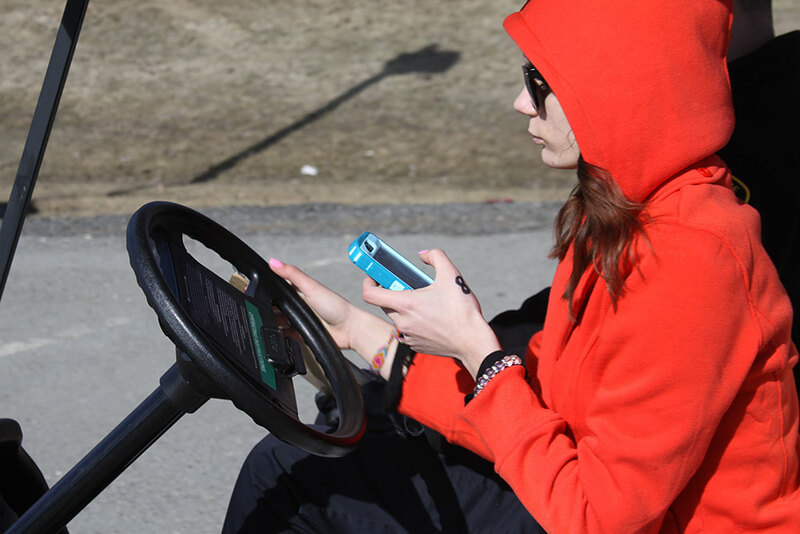 The Turn Off Texting demonstration raises awareness about the dangers of distracted driving by putting students behind the wheel of a golf cart to navigate a course of cones while texting. It’s a unique, memorable and effective experience for participants, and the demonstration is provided free of charge in Vermont through a grant from the Governor’s Highway Safety Program and support from generous sponsors. Turn Off Texting was started by the Vermont Department of Motor Vehicles in 2009 and has been presented by the Youth Safety Council of Vermont since 2011. TOT Demonstration at Champlain Valley Union High School. From April through October the Turn Off Texting demonstration is presented with golf carts. An outdoor, paved surface of 50’ x 150’ is needed; the driving instructor must be present; and students must have their Vermont Learner’s Permit. 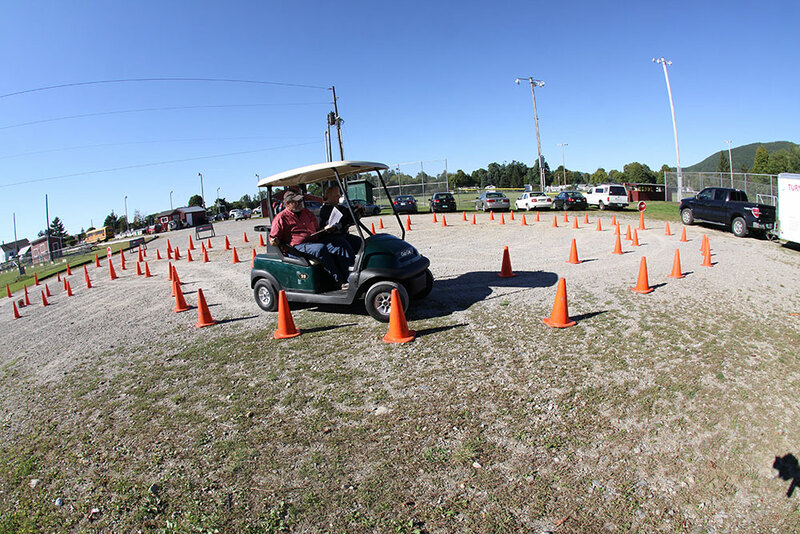 Approximately 10 students can experience the golf cart demonstration in an hour, and the demonstration can be at your school through the day, accommodating several classes. It’s always a great help — and an additional learning experience for your students — when three student volunteers are available during the demonstration. 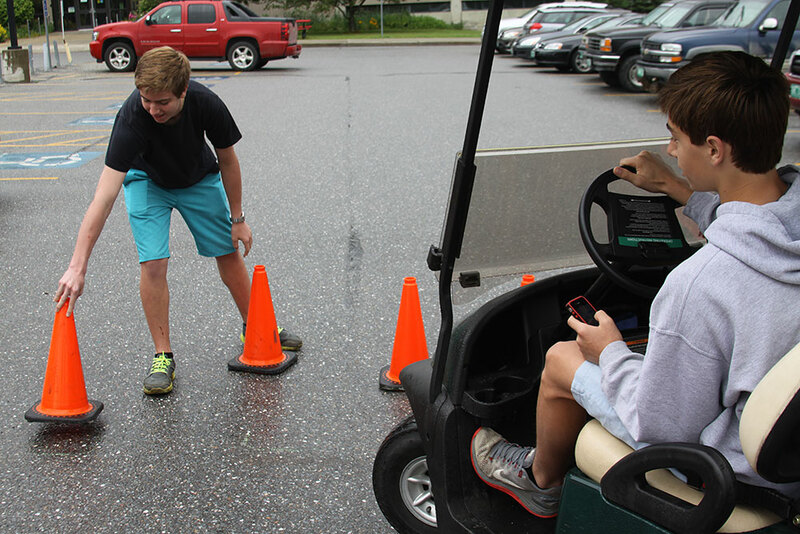 At any time, two would follow the golf cart and count (on either side of the cart) how many cones are touched by the cart as it is driven, and one student would replace cones that have been knocked over. Driver educators often have many students rotate into these positions, reinforcing the message of the Turn Off Texting demo. From November through March a mobile driving simulator will be used to present Turn Off Texting in a program YSCVT is piloting in partnership with My Decision Driving. A Doron 550 driving simulator travels to your campus or event inside a 30-foot mobile classroom. The simulator is state of the art, using three 42” screens that provide a 180-degree view, and controls with haptic feedback — creating motion and forces that make ‘driving’ it seem real. Roads and hazards are custom programmed and after students participate in a simulated distracted driving experience their route can be replayed on the monitors, showing them how their distraction led to dangerous situations for themselves and others. Approximately 10 students can experience Turn Off Texting with the simulator, per hour. Like the golf cart Turn Off Texting, the simulator is also free thanks to funding from the Governor’s Highway Safety Program and sponsor AT&T. To schedule a Turn Off Texting demonstration at your school or community event in Vermont, Visit the Request A Demo page and send us some basic information. We’ll get back to you quickly with word of availability and look forward to being there! TOT Demo at Williamstown High School.